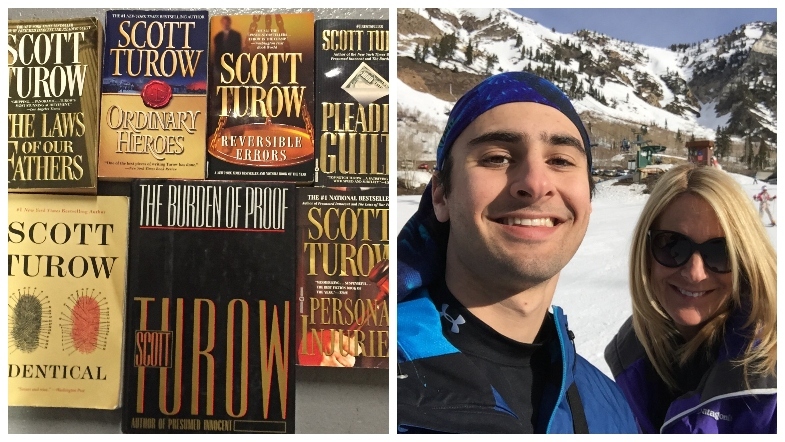 Author Scott Turow, whose books have sold over 30 million copies worldwide, has lent his support to the family of missing hiker Jesse Galganov, who vanished in Peru over a year ago. Galganov, a Canadian citizen and graduate of Connecticut’s Wesleyan University, was due to start medical school in Philadelphia in July 2018. An experienced hiker, Galganov last made contact with his mother, Alisa Clamen, on September 28th, 2017, advising her that he may be out of phone signal for a couple of days as he hiked the thirty-one mile Santa Cruz trail, but would be back in touch by October 2nd. However, Clamen never heard from her son again. Clamen has worked tirelessly to find her son, spending $2 million on search efforts, using money raised through “fundraising efforts, donations from supporters of her cause, and from liquidating many of her assets and mortgaging her home.” She even hired Israeli company, Magnus International, who specialize in search and rescue, however Galganov, who was last seen on October 1st, 2017 in the Cordillera Blanca Mountains of Northern Peru, in Huascarán National Park, remains missing. That’s where bestselling author Scott Turow comes in. This post from Alisa Clamen’s Facebook, shared on the Help Us Find Jesse Facebook page details Turow’s generosity, and includes the auction link. It is always heartening to see people use their position of privilege to assist in difficult situations, and this instance is no different. Let us hope that with Turow’s generosity, and that of everyone who has lent their support to Jesse’s family and the #helpusfindjesse campaign thus far, that he will be brought home.